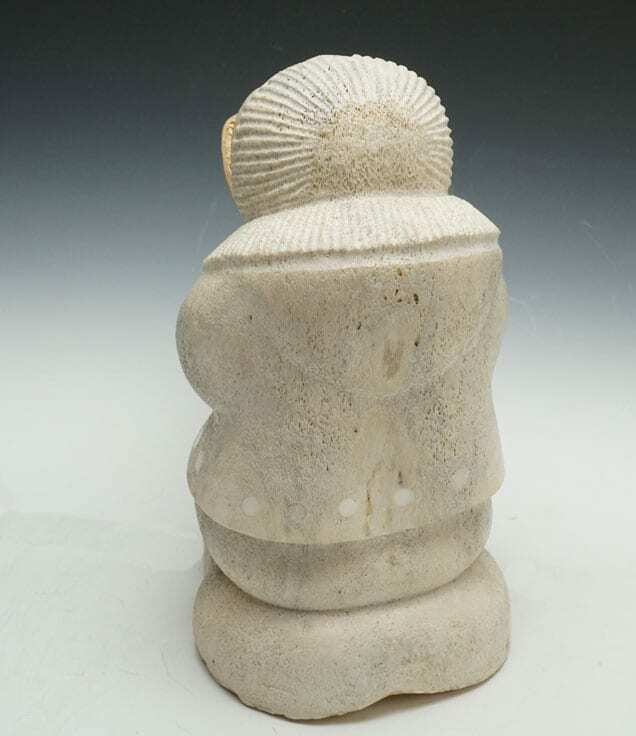 A lovely, squat, drumming figure carved from whalebone with touches of ivory. 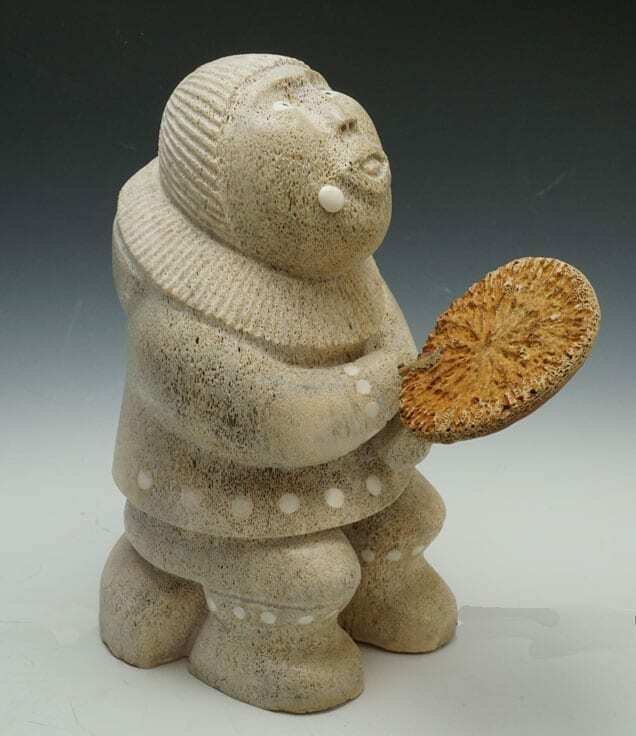 The drum is an especially interesting piece of bone. 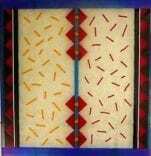 8 1/4 inches high x 4 1/4 inches wide x 4 1/2 inches deep. Comes with Alaskan Silver Hand sticker. 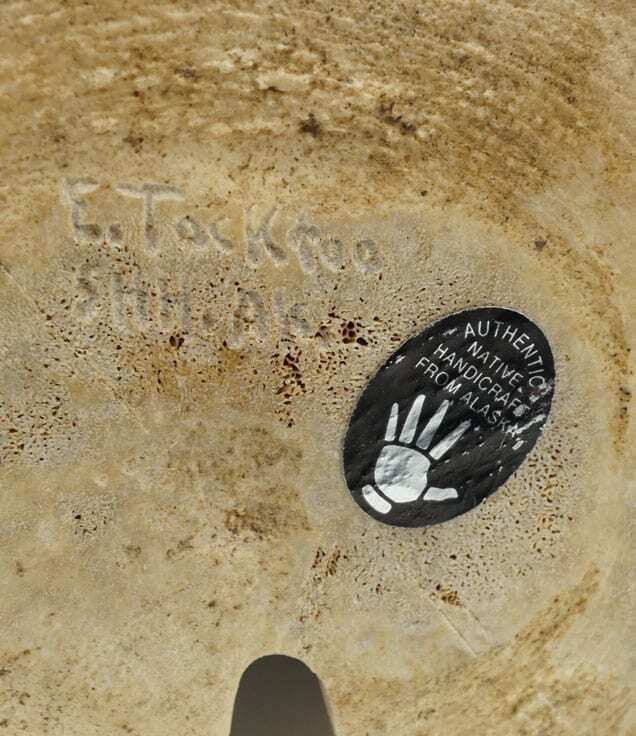 Signed E. Tocktoo, likely Edward Tocktoo of Shishmaref, Alaska. 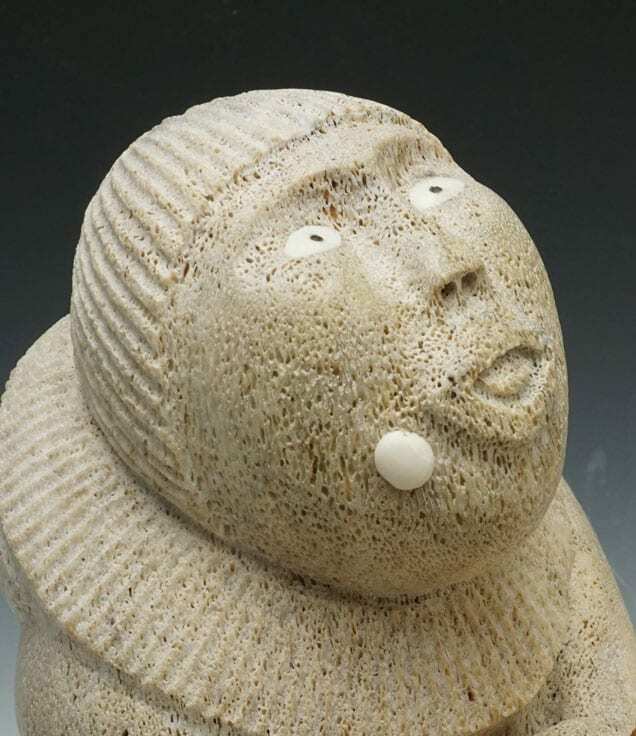 Glenda McKay is an Athabascan artist from Alaska who learned wilderness survival skills, plus sewing and beading from her grandmothers and aunts. 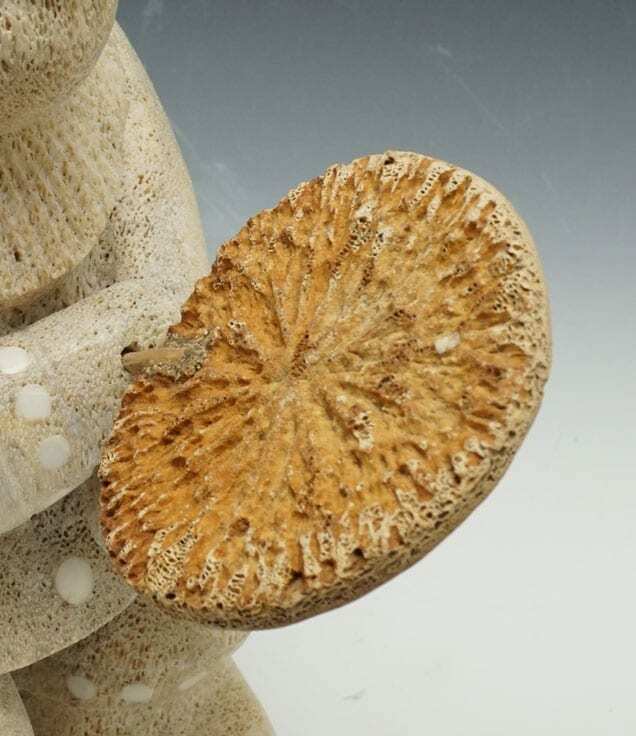 She puts all those skills to work in her extremely detailed dolls and carvings. 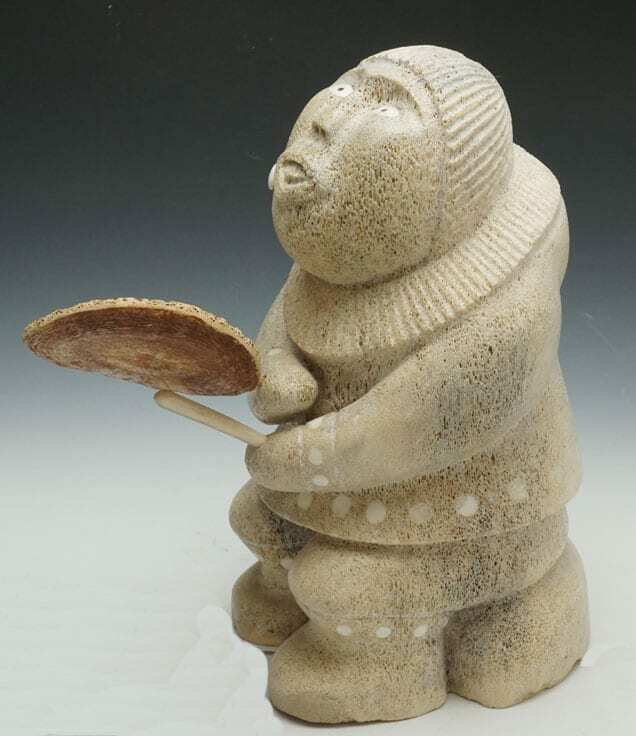 This is a miniature Athabascan Mountain Spirit Mask; shaman wore masks similar to this one to pray to the "game gods" for a plentiful hunt and safe journey for the hunters. 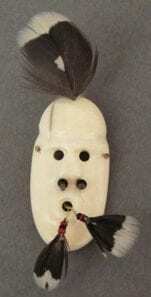 Carved from white walrus ivory, with spruce hen feathers, caribou sinew; # 11 and # 14 glass beads. 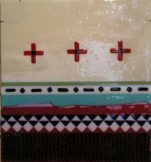 2 1/2" h x 1 1/8" wide, including feathers.